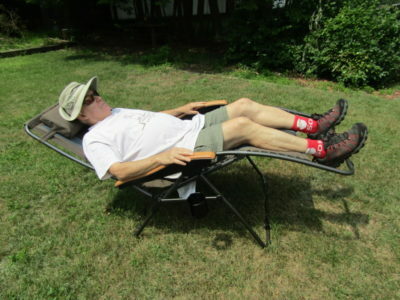 Timber Ridge provided the XL Padded Zero Gravity chair for review. I continued to use the Timber Ridge XL Padded Zero Gravity chair during this period for reading, using a laptop computer, meditation, and naps. The weather improved in this period but the humidity remained high and uncomfortable. I also received a couple inquiries I will explain further. The first inquiry asked me if I thought this chair was good for their back. That is a question I cannot answer. I can say that I had back issues about 15 years ago. There are chairs and beds that are not comfortable for me, however I did not experience any back problems when using this chair. What I know for sure is that it worked well for my back. To read more please click here. Since the last update I have put another 60 miles on the Mountain Khakis Cruiser pants for almost 120 miles total. Amazingly, they still look almost new. 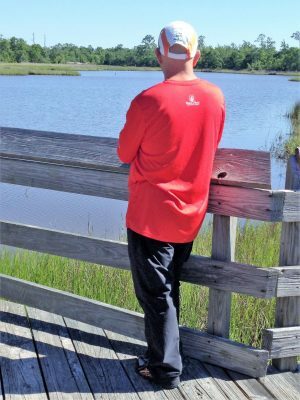 Comfort remains top notch and the durability of the pants has been great. Overall, I have been really pleased with the Mountain Khakis Cruiser Pant. Click HERE for my final update. 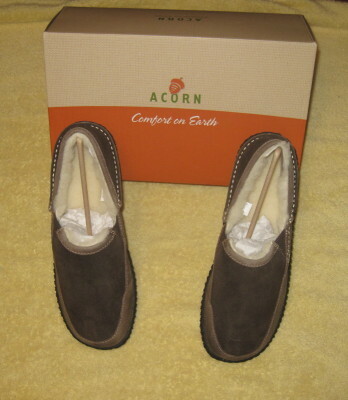 Acorn provided the Rambler MOC Men’s shoe for review purposes. I believe this is the first appearance of Acorn on this web site, background about the company follows. It all started in 1973 when David Quinn from Fayatte Maine decided to make a Christmas present by stitching leather to a pair of wool socks The goal was comfort and the birth of the slipper sock. For more details from the Acorn website please click here. The men‘s Rambler MOC is available in 3 colors: Chocolate, Olive Tweed, and Olive Plaid. The sizes available are: 7, 9, 10, 11, and 12. I received a size 9 men’s in color Chocolate. I am a little late as I as my Christmas list has grown to 23 people. 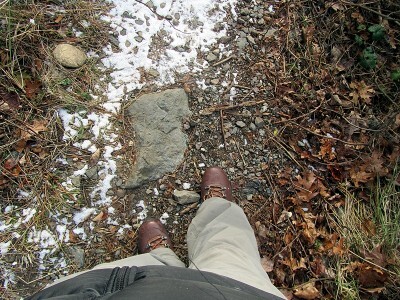 In my last look at the Wolverine Fulcrum boot I will look at the Individual Comfort System (ICS) and what a heavier boot did for me.